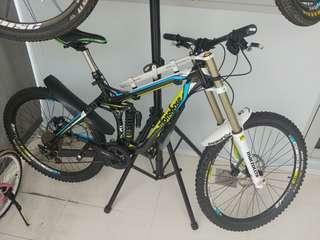 bikemaster Great buyer to deal with. Highly recommend. Thanks! 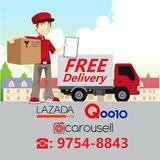 @samuel_shue is on Carousell - Follow to stay updated! Mongoose Boot'r 2016 upgraded to zee drivetrain. Used less than 5 times in trail. 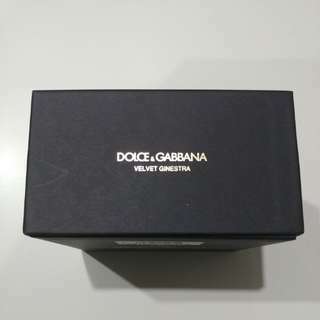 D&G Velvet Ginestra Gift Box Set. 2 sets selling at $128 each negotiable. Low ballers will not be entertained. 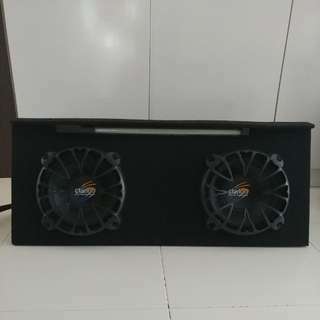 2 x 10" Clarion Woofers in Customized Woofer Box for MPV. Comes with neon light bar. Selling at $200. Low Ballers will not be entertained. 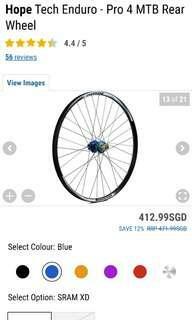 Brand New 27.5 Hope Tech Enduro - Pro 4 MTB Front & Rear Wheelset with blue hubfor sale. 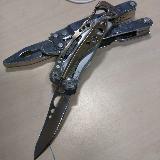 Bought from CRC but wrong size so wanna let go. Item just received from CRC, still sealed in box. Specifications as shown in the photos above. Price is firm. Chat to arrange viewing. 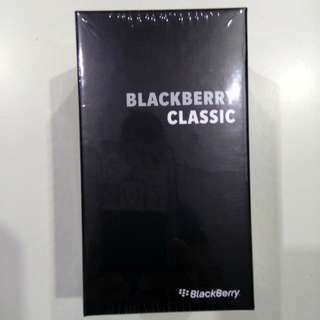 Local set Blackberry Classic from Singtel. Completely sealed in box. Letting go at $200 (negotiable). Low ballers will not be entertained. 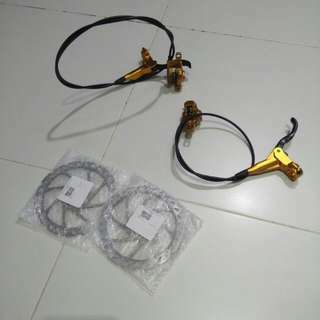 LTA Compliant Apexi N1 for Honda Stream RN6. 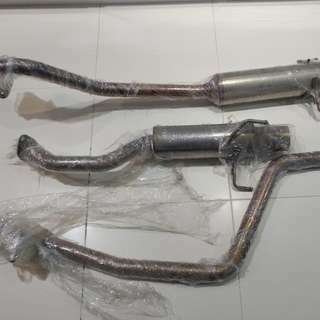 Used LTA Compliant Apexi N1 for Honda Stream RN6. Comes with LTA compliant JASMA Certificate. Brand new at $1350 Selling at $500 nett. Non negotiable. Used Nashin 4pot big brake kit. 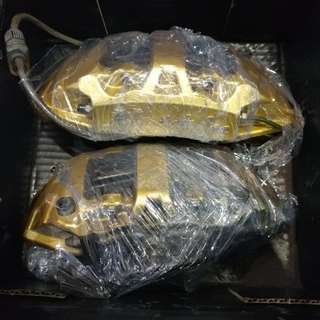 Gold color for sale. PCD:5X114.3 For Honda Cars only. Need to replace new brake hose. Selling at $500 nett. Non negotiable. 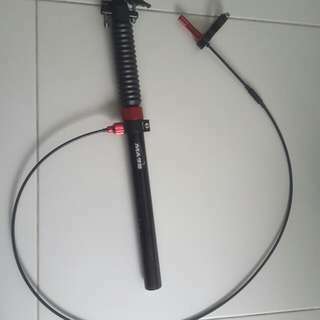 Tmars Mechanical Dropper Seat post. 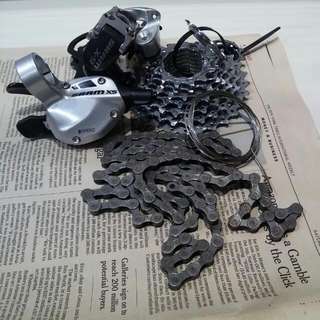 SRAM 9speed Shifter & Rear Dee. Bought at CRC at $110.Only used once. 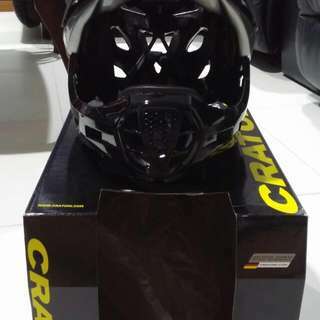 Intend to upgrade to Downhill helmet.